Caring for your body through a healthy diet and exercising regularly is not always enough to achieve the toned, fit figure you desire. Sometimes a few stubborn pockets of fat just won’t go away no matter how diligent your fitness efforts may be. In these situations, liposuction may be an excellent option to put the finishing touches on all the hard work you’ve already done through your diet and exercise regimen. The best way to determine whether SmartLipo™ is right for you is to speak with Dr. Osadzinska in person. Please call 321.206.1526 today to schedule a FREE liposuction consultation at our Waterford Lakes office in Orlando. SmartLipo is a term used to describe laser-assisted liposuction. The procedure is performed using a very small, 1 mm laser fibre that emits gentle laser energy which heats, liquefies and coagulates the fat. In addition, blood vessels are also sealed, allowing for easy extraction with less pain, swelling and bruising than traditional, old-fashioned tumescent liposuction. SmartLipo is used to heat under the skin, as well as liquefy and coagulate the fat. Heating of the skin will provide 17% area skin contraction with increased collagen, elastin and skin tightening. This provides much more assurance to the overall body, shape, and contour than old-fashioned liposuction, where rather primitive and traumatic extraction of the fat was performed, with no reciprocal contraction of the soft tissue, leading to skin laxity. 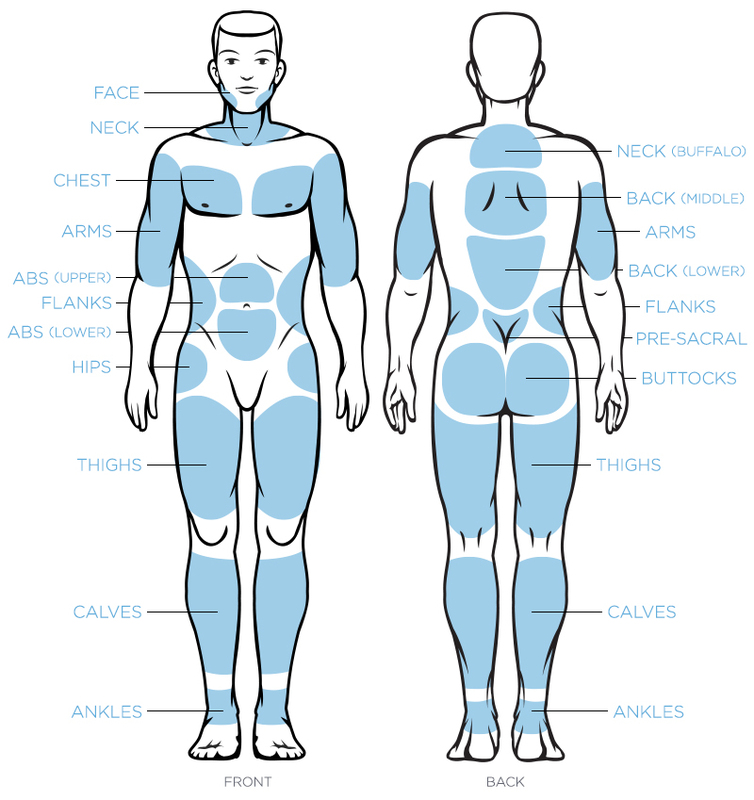 How is SmartLipo™ performed? SmartLipo™ laser-assisted liposuction is generally performed either under local anesthesia with oral sedation or local anesthesia with IV or general sedation. Due to the minimally invasive nature of the procedure, there are fewer risks compared with traditional liposuction techniques, and you will have almost no downtime. In most instances, you should be able to return to work in two days. There is one or no stitches or unsightly scars, and you will experience less bruising and swelling than with traditional liposuction techniques. With SmartLipo™, you can achieve results that are dramatic, yet very natural looking. Following your SmartLipo, Dr. Osadzinska’s team will use bulk heating radio frequency and advance ultrasound devices are deployed in your program to ensure optimal skin contraction and tightness. Once your series of postoperative treatments have been completed, Dr. Osadzinska will recommend a single treatment every three months to maintain skin tautness, elasticity, and contour. The results of your SmartLipo will be lifelong. The fat that is removed will not return. It is very important to stay within five to ten pounds of your SmartLipo weight to ensure permanent contour and figure enhancements. To schedule a SmartLipo™ liposuction consultation with Dr. Osadzinksa, call or fill out an e-mail consult request form and a Lumiere Medical & Wellness Spa customer service representative will quickly respond and schedule a consultation with Dr. Osadzinksa.